My mom has been making this dinner for our family my whole life. She got the recipe from her good friend Bobbie Kearns. 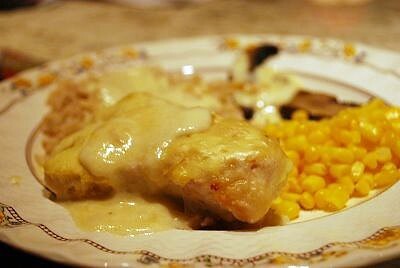 The chicken comes out so tender and the creamy tang of the buttermilk sauce compliments the chicken AND the rice and veggies that you choose to serve it with! We invited some friends over for a fondue party on Saturday night. I looooove fondue – it’s fun and interactive and festive! 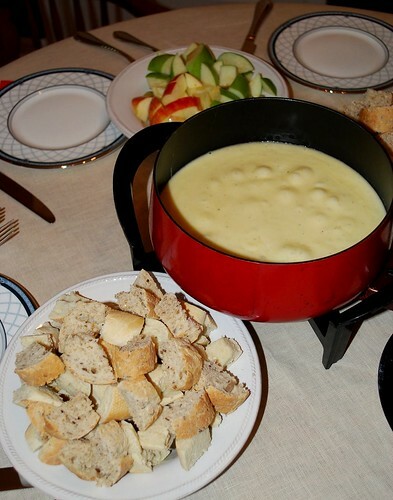 Here are some tips and a recipe for classic swiss fondue that has been adapted from Fondue: Great Food to Dip, Dunk, Savor, and Swirl by Rick Rodgers. 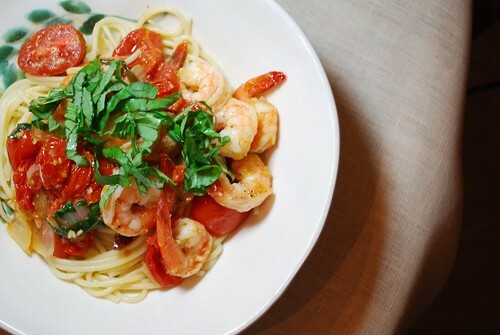 Shrimp, Tomatoes, Basil, and Voila! I wanted to make a lighter supper for hubby and me since we’re hosting a fondue party at our house tomorrow night (don’t worry – I’ll blog the fondue too!). Shrimp was on sale at the grocery store, and I actually found some really nice looking tomatoes, so we decided to “wing it” from there. We ended up with a fantastic, light, delicious dinner. 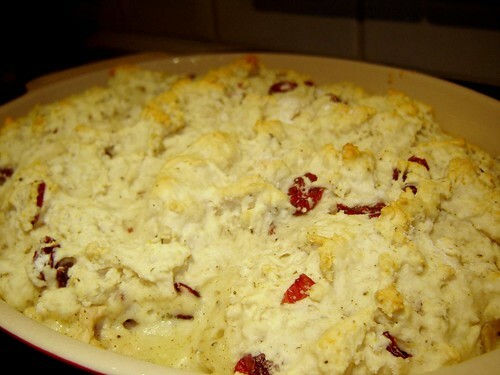 This recipe is very versatile and is a great one for using up leftover chicken or turkey. 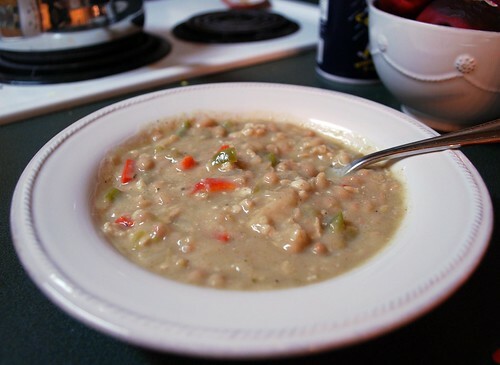 It’s also a pretty lean and nutritious meal that could easily be frozen so that you can have it ready to heat up on a busy winter evening! My dad is absolutely in love with this stuff. 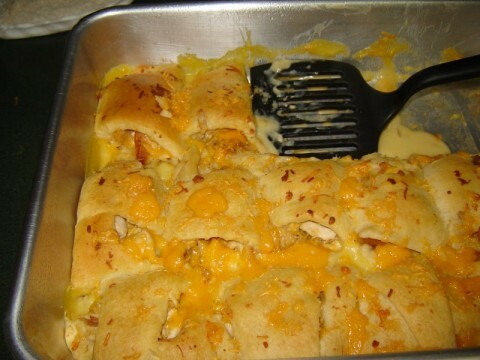 So I came up with these tasty little treats using some leftovers we had on hand at my mom and dad’s house this week. Mom came up with the name. 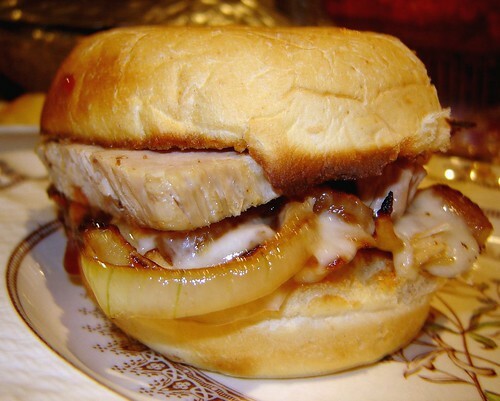 These sandwiches were a great, hearty dinner. There is nothing like a hearty pot pie to warm you up on these dark, rainy winter nights we’re having. My little brother got me this wonderful cookbook for Christmas in 2007, and I have been loving it over the past couple of years. I made up an awesome recipe tonight using a few ingredients we had on hand. We’re going out of town tomorrow, so I didn’t want to have to buy a bunch of groceries. Plus, we’ve been eating so much heavy food over the holidays that we were both in the mood for something light and fresh! This hit the spot! 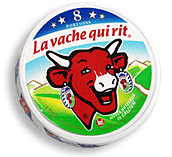 I grew up eating Laughing Cow Cheese on crackers, but never actually cooked with it until I went to France as a foreign exchange student in high school. 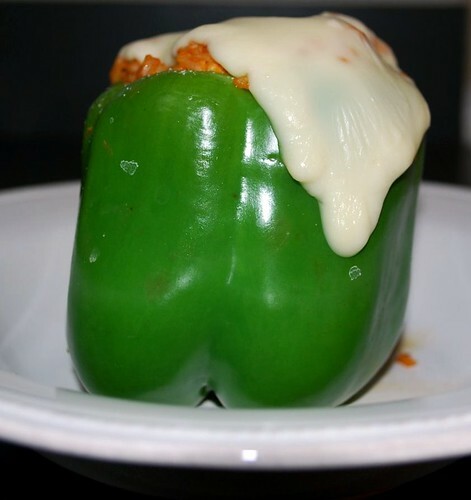 This is a recipe that my mom and dad used to make when they were first married. 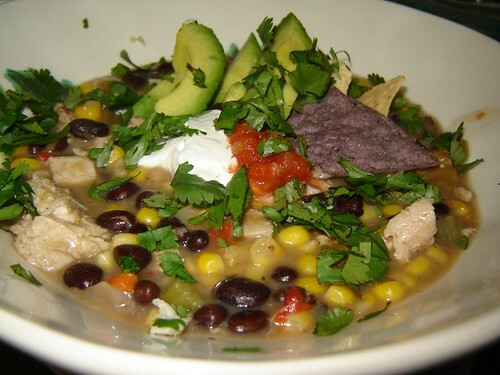 It has become a favorite of mine to feed a crowd or just to have a cozy comfort meal with my husband.